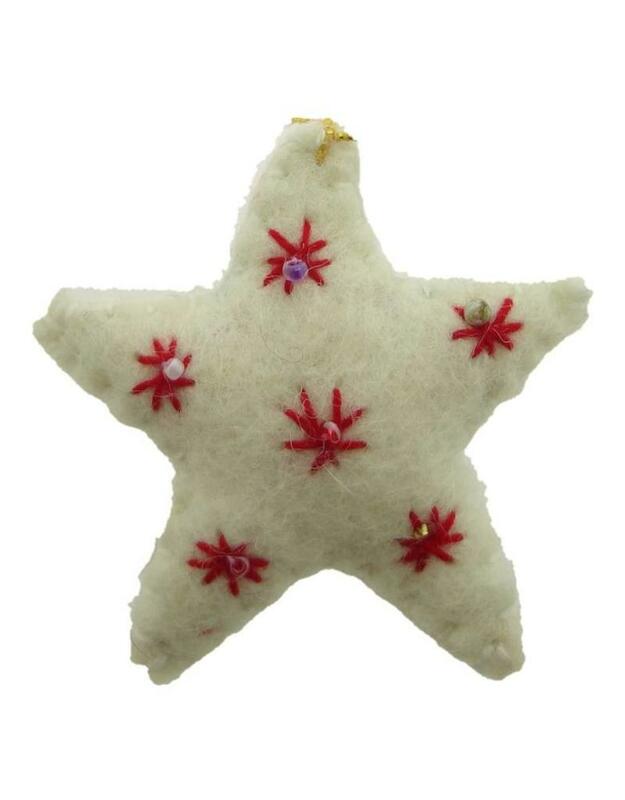 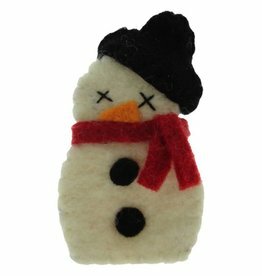 Christmas tree pendant Star S. A small Christmas tree decoration made of thick felt in the colors white and red. 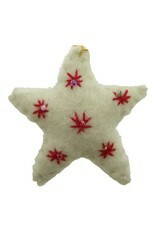 The dimensions of the decoration are 7 cm x 7 cm x 2.5 cm. 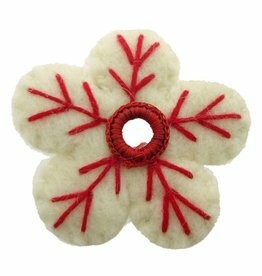 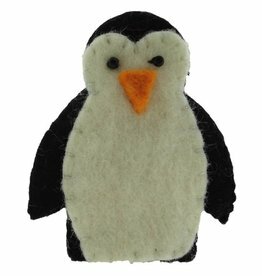 This product is a design by Dakini and Fair Trade handmade in Nepal.